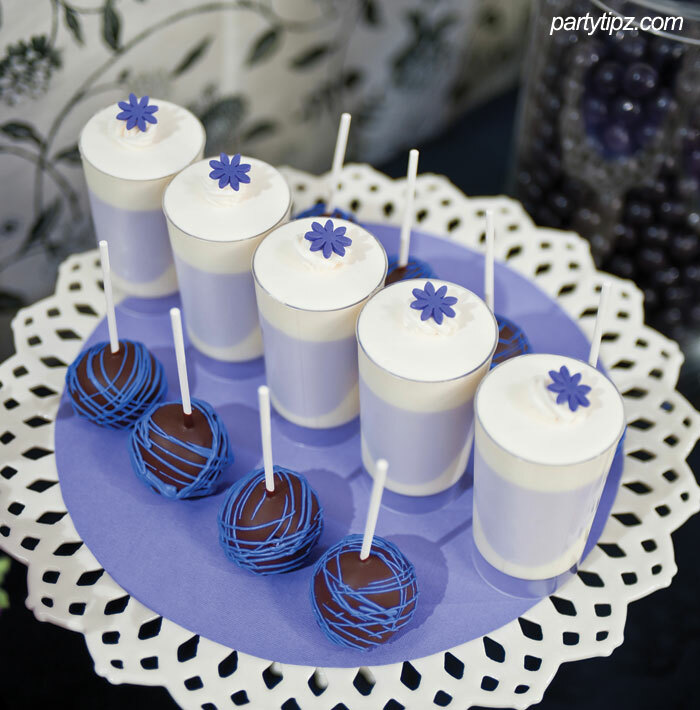 Easy Tips On Creating A Delicious Dessert Bar! 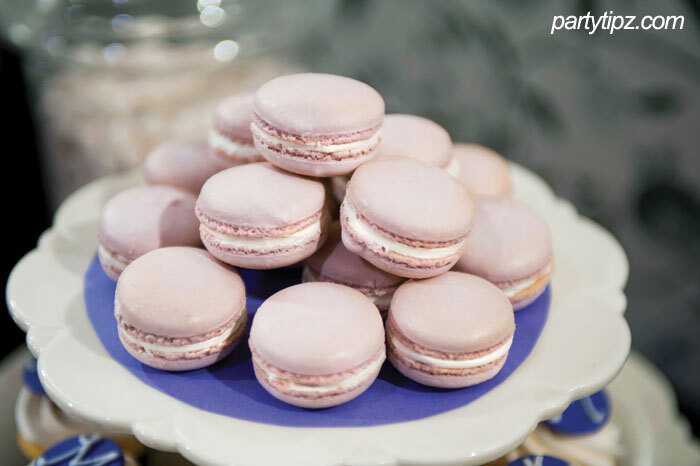 When it’s time to satisfy your wedding guests’ sweet tooths, consider the most fabulous sensation to hit the wedding scene: chic dessert bars. 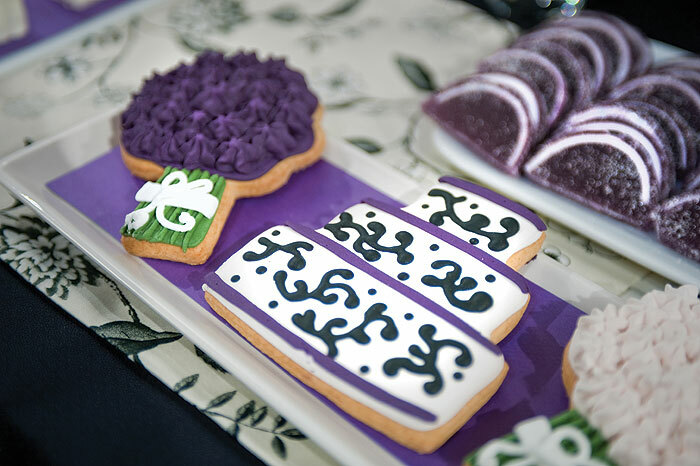 They offer a delicious and visually satisfying end to a reception, showcasing the personalities and tastes of the bride and groom at the same time. 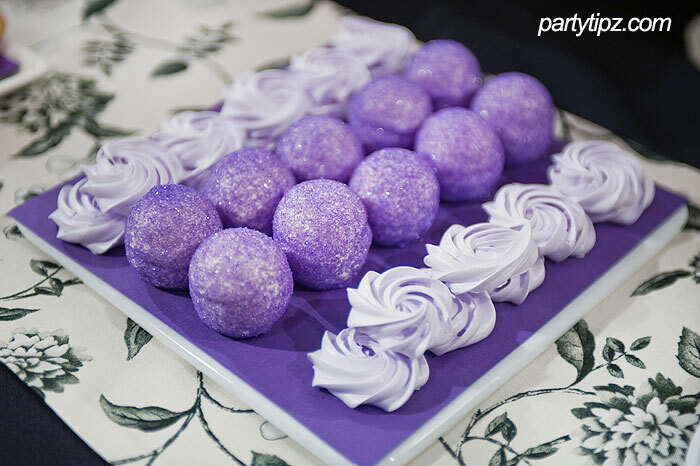 Creating a beautiful dessert bar can be as easy or as complicated as you like. 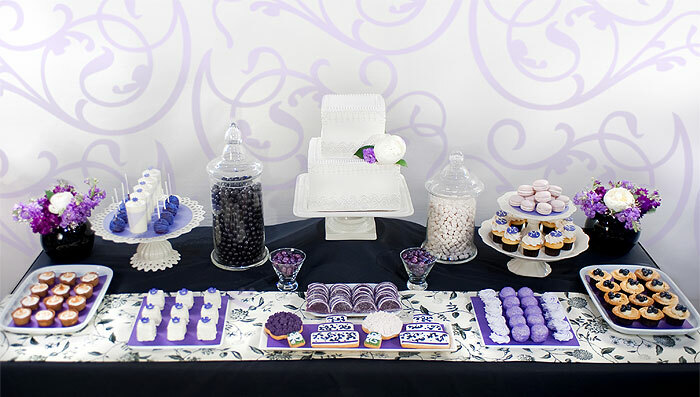 Erica Siebels, the dessert bar stylist at Sarah’s Bakeshop, regularly creates beautiful displays of sweet bliss and suggests that you should follow the key rules of buffet design by staggering your buffet plates and items with different heights and levels. Use various platters, containers, vases, and pedestals to bring interest to your buffet. 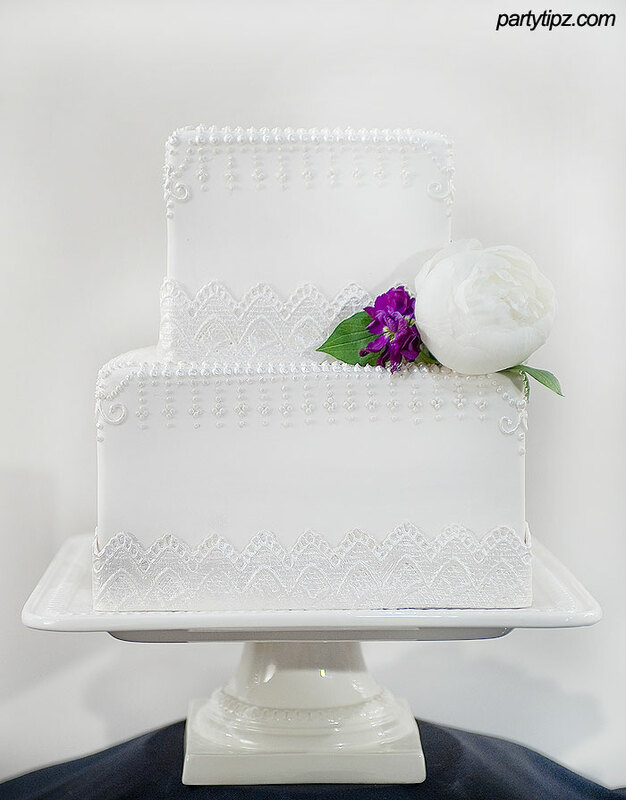 A fabulous yet simple wedding cake that has lace detail reflecting the wedding dress design, yet simple enough not to over power the dessert bar. 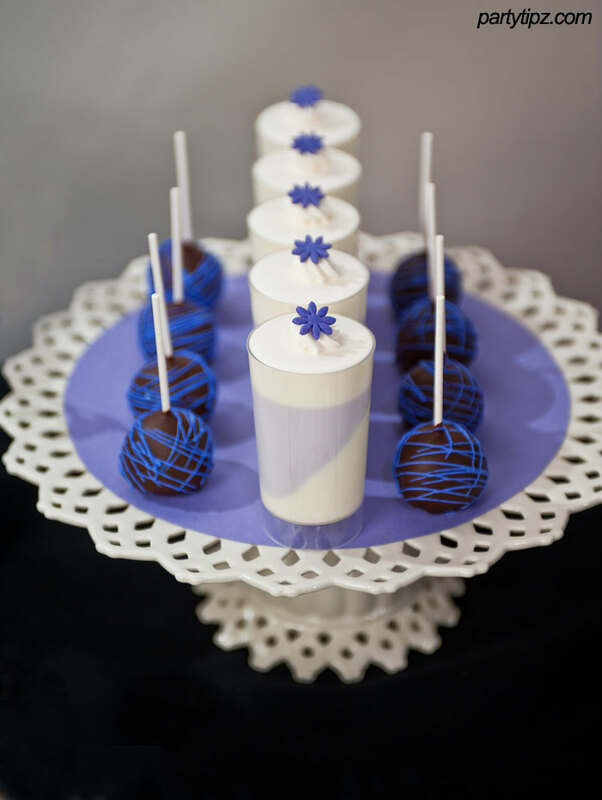 Lavender Panna Cotta and Cheesecake Lollies — Creamy Cheesecake Dipped in Chocolate on a Stick. When designing your dessert menu, think about having a combination of candy and individual desserts. Giving your guests a variety and a multitude of choices allows everyone the opportunity to be satisfied. Choose your color scheme carefully, limiting it to two or three colors to avoid a cluttered look. Use colors that are easy to replicate and you’ll save yourself headaches and heartaches in the end. Stick to your color palette and don’t stray, no matter how tempting it might be. 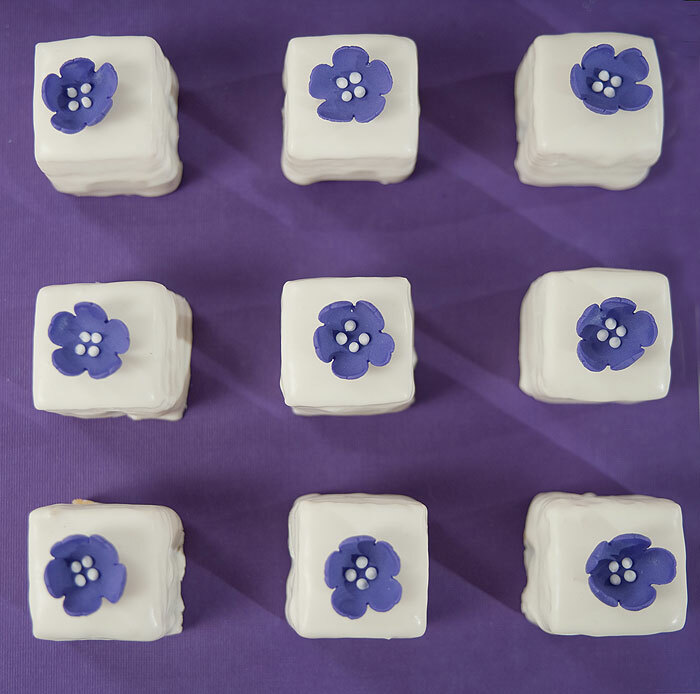 Some design experts even use color swatches and work with their baker to make sure that the colors are consistent and harmonious throughout the array of desserts. Bridal Bouquet and Wedding Cake Cookies by Colleen’s Cookies. 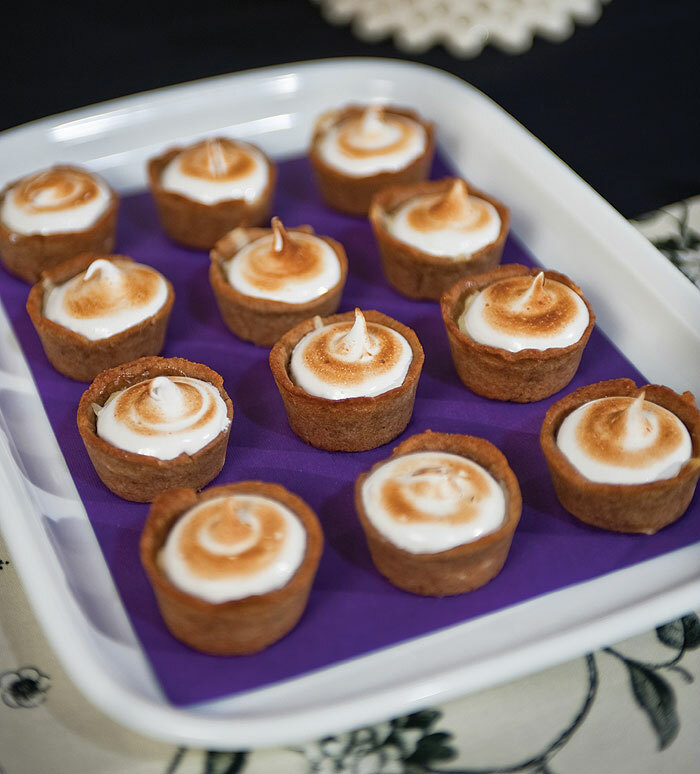 Mini Key Lime Tartlettes with Toasted Meringue. One thing every dessert bar needs is a focal point or centerpiece; most brides choose their wedding cake as the pièce de résistance. There are other possibilities, however: flowers, cupcake towers, or any large vessels containing beautiful accoutrements. Another thing to consider is that focal points do not have to be in the literal center of the table — placing them to the side of the buffet can create a beautiful look as well, so long as the remainder of the design coordinates with the asymmetry. 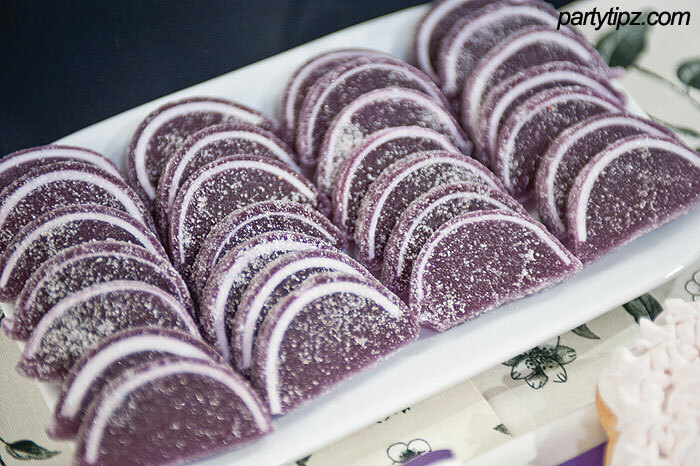 Don’t be afraid to bring in elements that may not be edible to dress up your table. 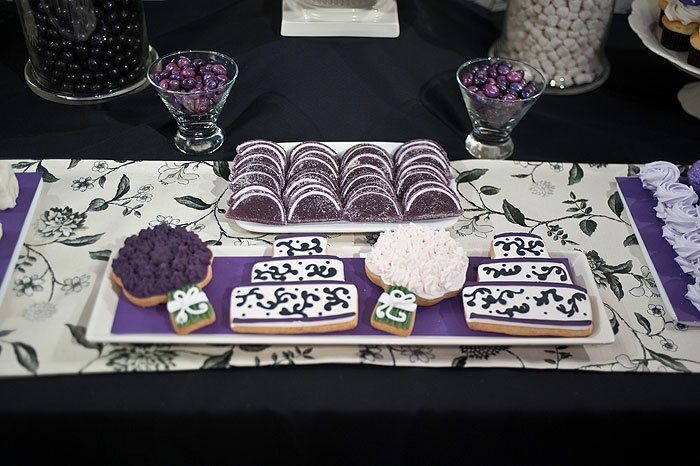 As long as they serve a visual purpose, they can be easily incorporated into the dessert bar. 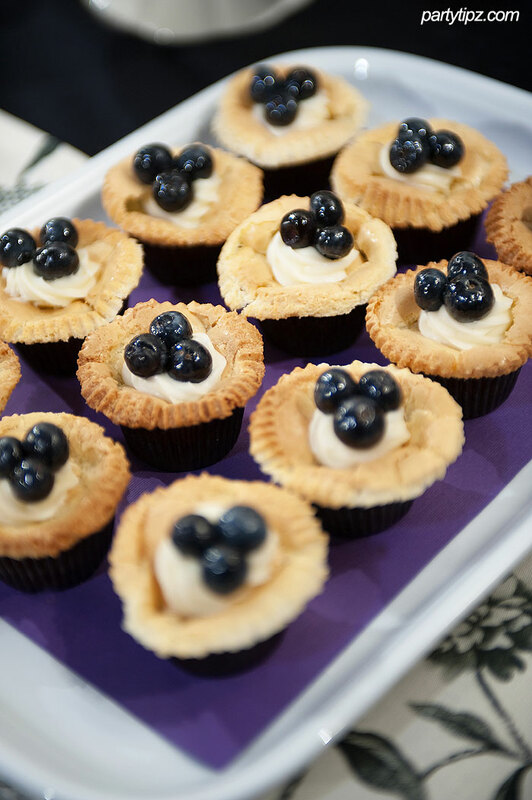 Items such as candle votives, rose petals, monogrammed napkins and plates, small “to go” dessert boxes, and flower arrangements can all be interesting additions to any dessert bar design. 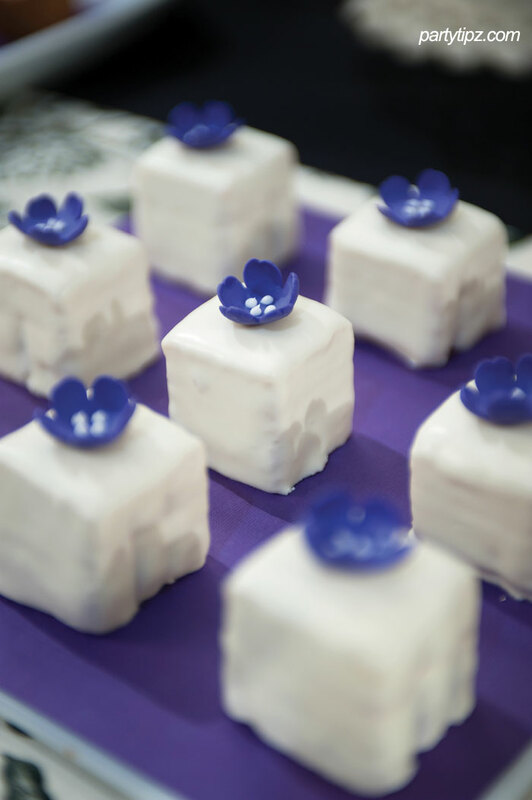 Petit Fours — Almond Strawberry Champagne covered with Chocolate & Topped with Fondant Flower. Meringues and Glitter Bites — Two Spheres of Cake filled with Buttercream, Dipped in Chocolate and Rolled in Sanding Sugar . Most importantly, create a collection of desserts that you and your fiancé adore. 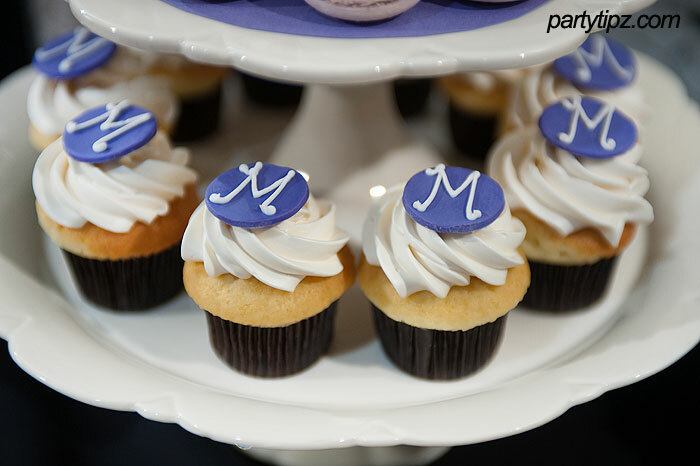 Personalize your dessert bar by creating desserts with your favorite flavors, colors, and even your initials, offering your guests a “sweet” insight into your personalities and tastes.